The Intermediate / Advanced Watercolor Studio is intended for students that have completed Beginning Watercolor through at least one of the Advanced Techniques Classes or one of the Studio Classes. The studio focuses specifically on utilizing watercolor to the greatest effect of the medium itself. There will be an emphasis on the techniques required in achieving depth and textures in completed paintings. The students will also learn how to plan / stage more complex compositions, new ways of using classic watercolor techniques and new approaches to detail. Three to four individual compositions will be covered including seascapes, landscapes and scenes containing manmade objects; the students will be asked to bring one photograph of their own for a final project. The analysis of paintings will also be covered along with art history related to the compositions and techniques. Nineteenth century American, British and European artists will be discussed throughout the course. 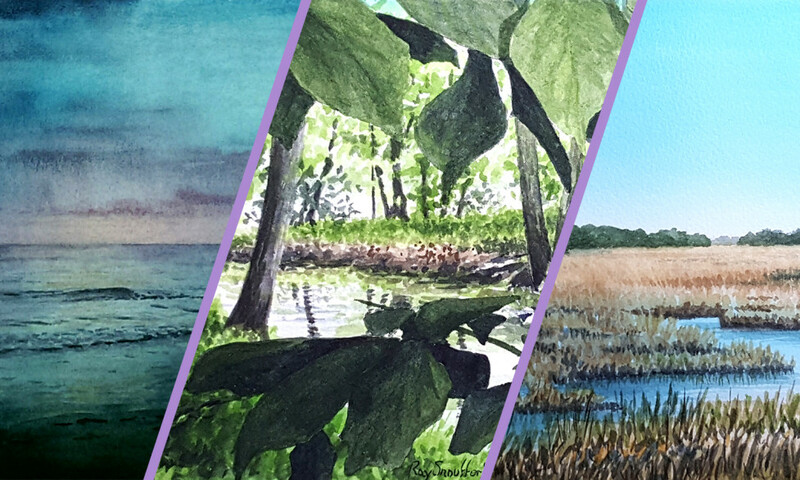 The Beginner / Intermediate Watercolor Studio is intended for students new to watercolor and/or watercolorists just interested in honing their skills. Completion of a Beginning Watercolor class is recommended but not required. Instruction in the watercolor studio class is provided through in class painting, exercises and homework (optional). The studio focuses specifically on understanding the medium and specific techniques needed to achieve both depth and focus in completed paintings. Three to four individual compositions will be covered including seascapes and landscapes; the students will be asked to bring one photograph of their own for a final project. The analysis of paintings will also be covered along with art history related to the compositions and techniques. Nineteenth century American (specifically William Trost Richards), British and European artists will be discussed throughout the course. Click here to download the supplies list for both classes.